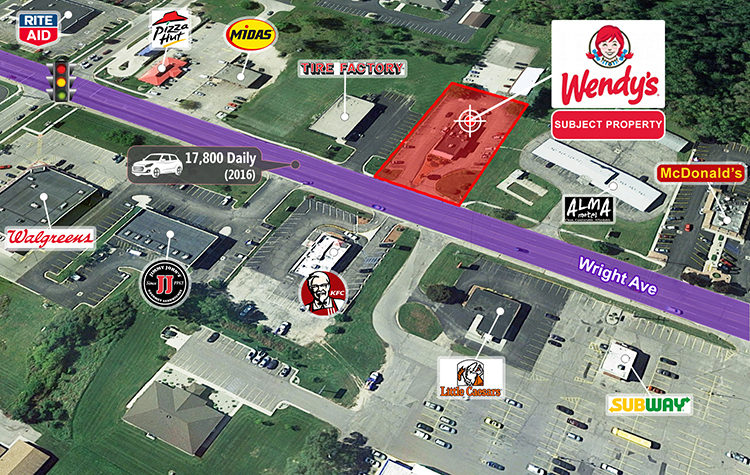 Marcus & Millichap is pleased to offer for sale this rare absolute NNN corporate guaranteed Wendy’s located at 1495 Wright Avenue in Alma, Michigan. This property is located near Alma College, with student enrollment exceeding 1,450 students. The subject property consists of a 2,800 square foot restaurant on a large 1.75 Acre Parcel of Land and is strategically located near busy US Route 127 with traffic counts in excess of 31,900 vehicles per day. 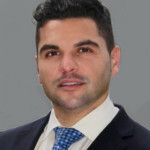 There are 21,198 full time residences with a Household income exceeding $54,196 annually in the market area. 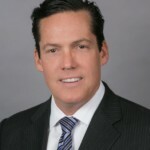 There are numerous National and Regional retailers in the immediate area including Walgreen’s, Midas, Tire Factory, Quaker State Quick Lube, JC Penney, Rite Aid, Jimmy John’s, Pizza Hut and Classy Auto Wash, among others. 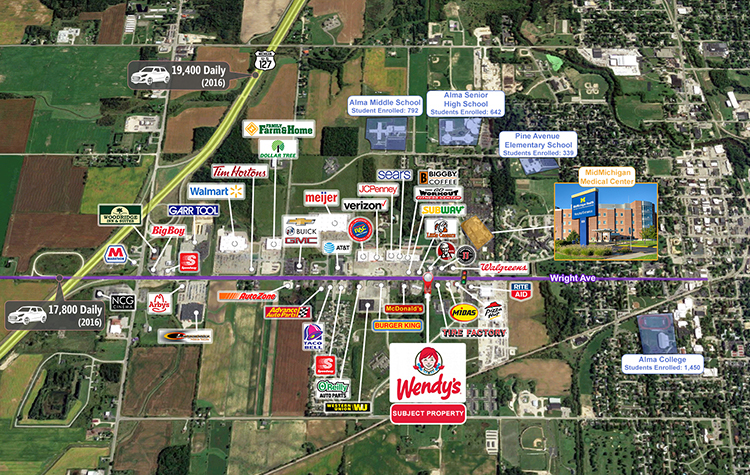 Mid Michigan Medical Center and Urgent Care are also located in close proximity to this property. 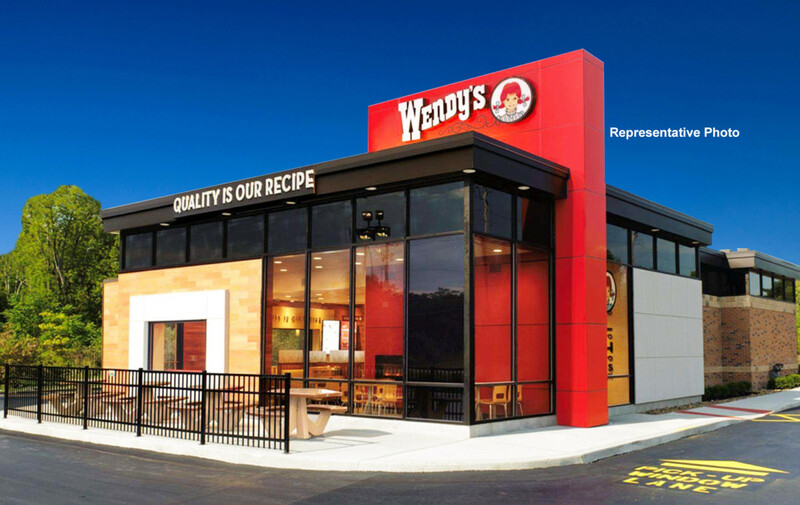 hamburger fast food chain with approximately 6,650 locations, following Burger King’s 12,000 plus locations and McDonald’s with over 31,000 plus locations.